CLOSED Tropical Storm Conditions Possible For the Leeward/Windward Islands This Weekend. Please feel free to leave questions and comments below. 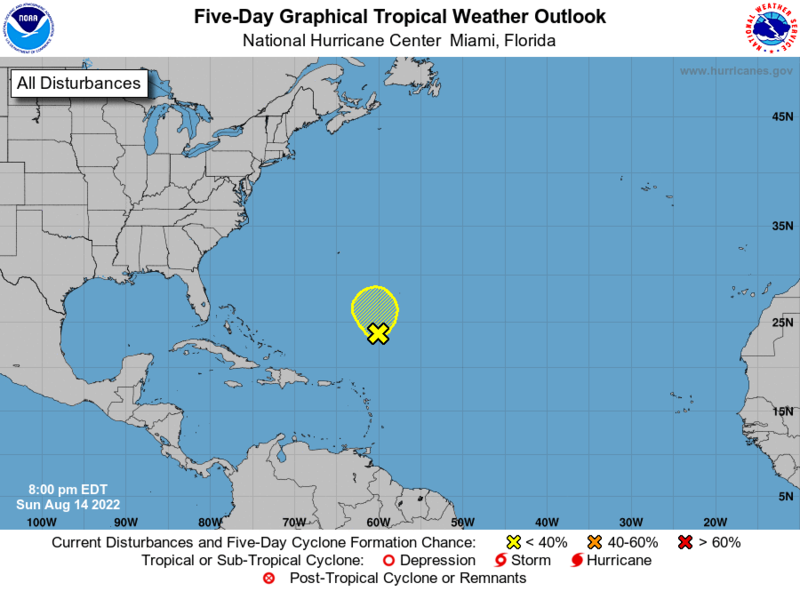 The lull looks to be slowly coming to an end in the Tropical Atlantic. Hang on! Re: CLOSED Tropical Storm Conditions Possible For the Leeward/Windward Islands This Weekend. Thanks, Bob. Excellent video. It's getting scarey that I'm actually catching on to a lot of this! Very nice Bob, thanks for posting. 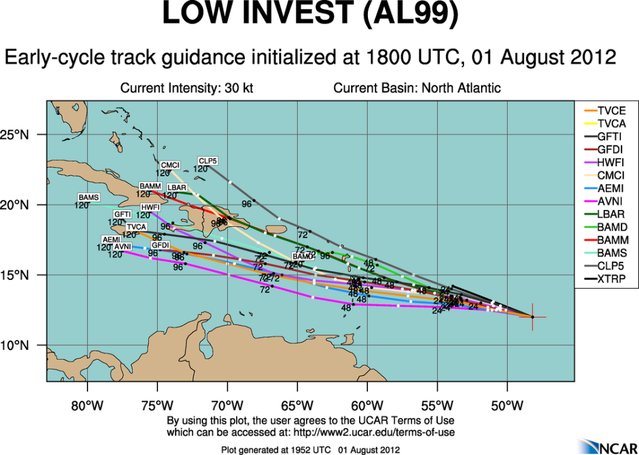 The track just South of PR and Hispaniola would be my guess. 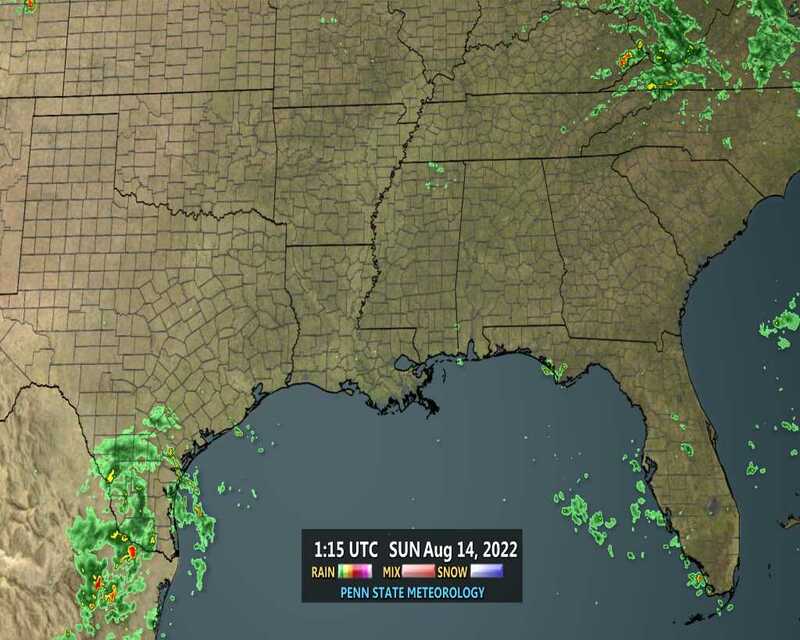 Looks like Jamaica could get some much needed rain. Great video, Bob!! Thanks for posting it. I wonder how long that ULL will stick around over western Cuba, and if it will create more shear as 99L moves west? Thanks for the video update Bob. Very easy to understand. If you look at the last few frames you can see convection blowing up around the apparent center, the NW corner of the high cloud mass. Bob, 99L is definitely developing. Notice the models are trending slightly to the North this morning. I believe there is only going to be a little window of opportunity to strengthen before the shear gets a hold of it. Thanks Bob. He's getting there little by little.